Billionaire philanthropist David Rubenstein on Tuesday announced a second $10 million gift in less than six months to the Kennedy Center to help reach younger and more economically diverse audiences. The gift announced Tuesday makes Rubenstein the largest single donor in the performing arts center's history, with donations totaling $23 million. The Bethesda, Md., resident became the center's chairman last year and is co-founder of The Carlyle Group, a private equity firm. Rubenstein told The Associated Press that other arts groups face the challenge of an aging audience, as well. He also supports New York's Lincoln Center and Ford's Theatre in Washington, where he says he has noticed fewer young people in the crowd. "I hope that that can change," he said. "If younger people don't go to opera or don't go to classical music, then ultimately there won't be an audience for it when they get older." Rubenstein said he hopes other donors will respond to help arts groups broaden their reach. The gift will fund a new program to bring in such popular artists as John Legend and The Roots, as well as a street arts festival across Washington in 2012 that will include flash mobs, murals, circus performances and dancing. Kennedy Center President Michael Kaiser said 20-somethings spend less time in theaters and have had less exposure to arts education than previous generations, so the center's programs will move beyond its four walls. "Earlier generations came back into the arts later as they got older," Kaiser said. "I'm concerned that this group won't because they've never really had very much exposure to the arts." Congress also is considering cuts to arts education funding, he said. The gift will reduce ticket prices for underserved groups and military families, including a September ticket giveaway. 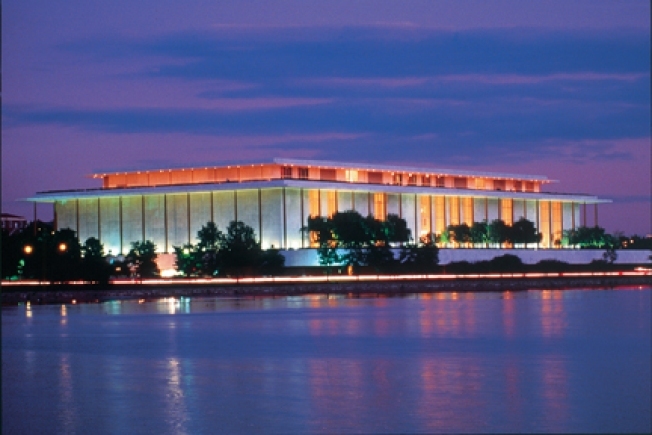 It also devotes money for opera programs as the Washington National Opera merges with the Kennedy Center. Also Tuesday, the center announced a nearly $100 million slate of programs in music, dance, theater and opera for the 2011-2012 season -- the largest programming budget in its history. It will include a major festival of the music of Budapest, Prague and Vienna in 2012. In November, a two-week festival of swing music will provide space for thousands to take to the dance floor to learn 1930s steps. "We think this will be a very big attraction," Kaiser said. "Young people want to be involved." Cate Blanchett will headline the theater season, bringing her Sydney Theatre Company production of the play "Uncle Vanya" for an exclusive U.S. engagement in August. The group's production of "A Streetcar Named Desire" was a hit for the center in 2009. In 2012, a new Kennedy Center production of Richard Rodgers and Lorenz Hart's musical "Pal Joey" will feature a new book by playwright Terrence McNally. The 1940 original Broadway show, which was based loosely on short stories published in The New Yorker and which starred Gene Kelly (the film version featured Frank Sinatra in the lead role), was last revived on Broadway in 2008, starring Stockard Channing. "I've wanted to do 'Pal Joey' here forever. I think it's an incredible score," Kaiser said. "We're not ready to announce casting yet, but we think it will be strong."